When an entrepreneur thinks about starting a business, it’s tempting to focus primarily on the nuts and bolts of the new venture like choosing a product or service, followed shortly by considerations like marketing, sales, operations and financial planning. Early on, it may not seem important to worry about things like purpose, mission, vision, and values. Those elements can feel like less tangible aspects of the business and tend to be treated as a lower priority. However, the reality is that the most critical step an entrepreneur can take for long-term sustainable profitability and success, right from the start, is getting clarity about WHY the business exists. A business that understands and authentically operates from its core purpose can then weave that passion and single-minded focus into everything it does. It is the foundation for mission, vision, and values, and guides the decision-making and actions taken in the business on a daily basis. It creates goodwill and energy that acts like a beacon to attract like-minded customers, suppliers, and employees who are much more inclined to manifest a higher level of loyalty, dedication, and discretionary effort. That, in turn, generates superior financial results that create a win-win for all stakeholders, including owners or shareholders. And, it is much easier to intentionally establish the organizing principles and culture of a business at the very beginning. Once a company is operational, change becomes much more difficult. There is no exact formula for determining the purpose of a business. As John Mackey says in the book, Conscious Capitalism: Liberating the Heroic Spirit of Business, “there are as many potential purposes as there are enterprises or organizations. Each business must strive to find and fulfill the purpose that is embedded within its own collective DNA”. The beauty of that is that each business has the opportunity to express their unique value to society in their own way. In one example from the book, Mackey profiles the company Waste Management which provides the unglamorous but very necessary service of disposing of trash. In fact, their early tagline was an uninspiring “Helping the world dispose of its problems”. However, with a greater focus on environmental sustainability in recent years, Waste Management’s CEO David Steiner re-focused the company on extracting value from the waste stream. Now instead of just burying tons of trash in landfills, their website describes them as being “a leading provider of integrated environmental solutions in North America”. One can imagine a greater sense of pride by employees in an employer that is so committed to community and environment al stewardship. And customers who care about the environment will likely be more inclined to choose Waste Management over their more traditional competitors. 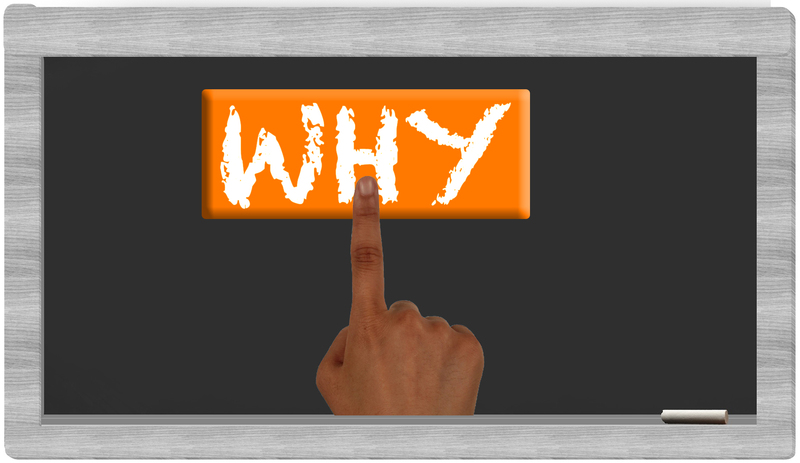 If a trash removal company can identify their WHY, then any business can do it as well. If you need help with understanding and deploying your higher purpose, or with other business planning and management issues, The Business Mentor Team is here to support you. Please contact us today for a free, no-obligation Discovery Session. Contributed by: Diane Janovsky, www.catalyst4biz.com/.